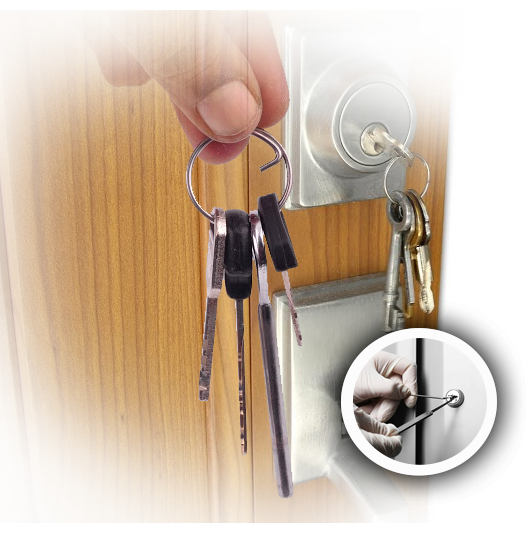 All services related to your home locks and keys have great importance. Your security depends on how efficiently your locks will protect you and on the condition of your keys. Let “Locksmith Mission Bend” take care of them. Our professionals can make key duplicates so that you will never deal with broken keys. We can also change the current locks, rekey the deadbolt and offer emergency lock repair services. Our assistance will mean a lot to all homeowners since our work is of the highest quality and our technicians are completely reliable. With specialized expertise in the newest residential locking systems and the capacity to replace lost house keys and cut new ones in seconds, our company can be proven to be a great asset in your life. Not only can we make wise suggestions so that security improvements will make you feel better at home, but our team will also help you at once when the keys don't open the door, one of your kids is locked in the bathroom and you are locked out of your house. It was important for us to create the right working conditions so that our professionals can help you within a very reasonable time. After years in the field of residential locksmith, hours dedicated to training and truly committed professionals, we can guarantee that such efforts never stop on our end and that's why our company can efficiently help you. Whether you want residential lock change or rekey, you can count on our experience and abilities. Our company is a full service residential provider, knowledgeable of all locks. We can repair, replace, rekey and install deadbolts, lever handle or mortise locks, are familiar with keyless systems and can deal with related issues. If the bolt is not aligned, the cylinder is damaged or the strike plate is broken, all you have to do is to give us a call. Our mobile experts offer immediate assistance when your security is threatened. Call us after break-ins, during lockouts, when keys are lost or stuck, when you are trapped in your own house or the window doesn't lock. Our professionals always travel with properly equipped trucks and thanks to their expertise such issues are handled at once. With that said, our team can be of incredible assistance every time you decide to make some home security improvements. Thanks to our expert knowledge of all systems, we can make recommendations and install new locks or rekey the existing ones. Our technicians specialize in deadbolt installation and the greatest thing is that everyone in our team is discreet, knowledgeable and fully committed to your demands. Give us a call if you need assistance!